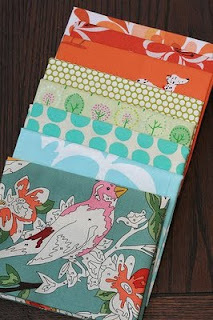 Sew Inspired: block party quiltalong and giveaway! The quilting bloggers of Block Party are kicking off a quarterly quilt along with an awesome giveaway! They have two fat quarter packs they are giving away to someone lucky. They will be posting tutorials for different styles of quilt blocks each quarter, and hosting a flickr group for anyone to share photos of their block party quilt blocks, and hosting a discussion thread where people can start or join virtual quilting bees. 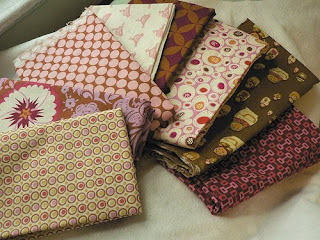 Maybe 2010 will be my year for that kind of project.... anyone want to swap quilt blocks with me? I would love to swap too!